Silica, Natural and Artificial Flavoring, Sucralose, Acesulfame Potassium (Ace K), FD&C Blue #1. Silica, Natural and Artificial Flavoring, Sucralose, Acesulfame Potassium (Ace K), FD&C Red #40. Silica, Natural and Artificial Flavoring, Acesulfame Potassium (Ace K), FD&C Red #40. Energy, focus, and pumps and veins that literally make your whole body start throbbing with blood. When I say this is a powder you NEED to take, trust me right here when I say this is one you can't go without. 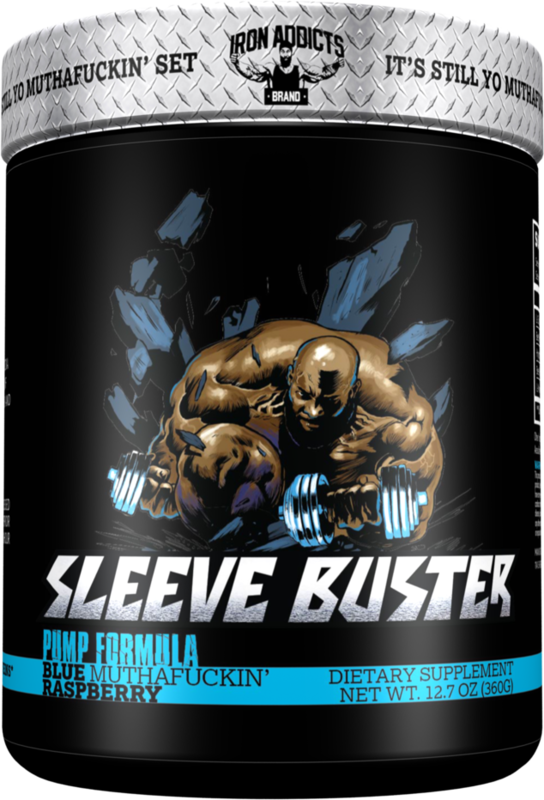 Sleeve Buster is a part of every damn workout I do. 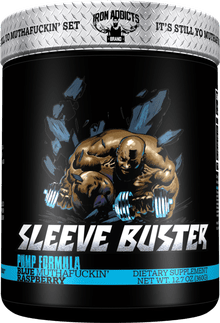 If you want lasting pumps and increased blood flow for better long term results you need this pre workout or even better start off your day off with it.